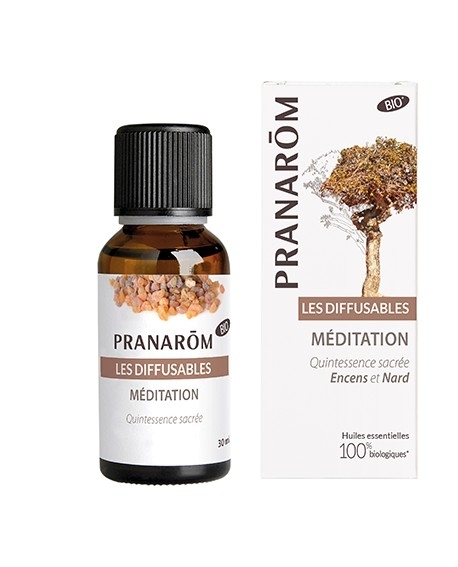 From time immemorial spikenard and incense are revered for their mysterious, holy and intense fragance. This blend of essentail oils offers a deep sacred perfume that invites to meditation, that helps finding his own way in one's quest for spirituality and open-mindedness. Thanks to the mastery and the experience of a renowned "Nose-perfumer" from Grasse, Pranarôm reinvents the olfactory universe of its blends for diffusion, their individual fragance is magnified by new, subtel aromatic notes, giving birth to a new range of amazing compositions to be diffused made of 100% organic essential oils.